Had a nice request from elvisgrace over on the Proteus SS page for some black wood recolors. Since I've been kicking around the idea of making some white wood recolors for myself, it seemed perfect to just combine the two colors and "get 'er done". 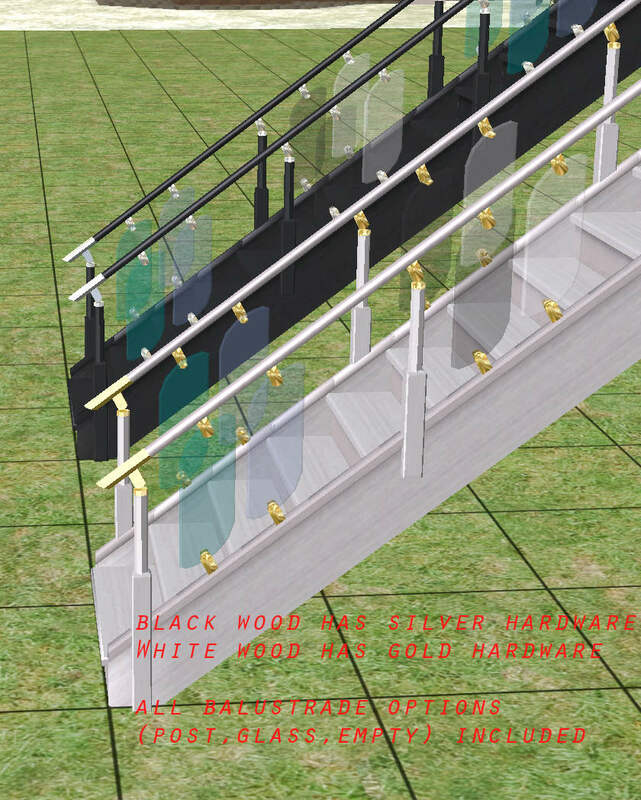 These recolors cover all the different configurations of balustrades. The black recolor has the silver hardware linked, and the white recolor is linked to the gold hardware. All recoloring was done using GIMP 2.8.2, with the texture used for the original Proteus SS ltwood steps. In-game price: The design tool will charge you 15 per step. 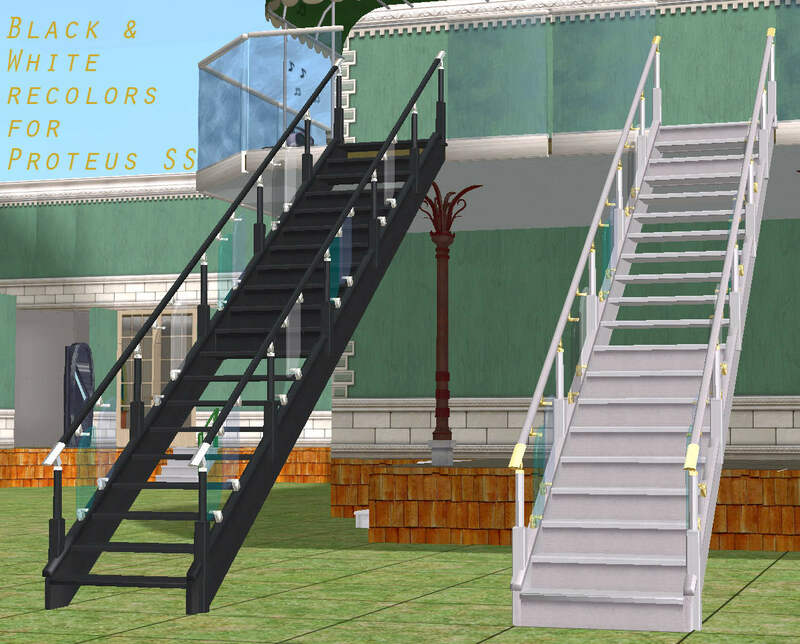 I advise to place the stairs when building the lot, or at least before moving a Sim in, if your Sim is tight on cash.